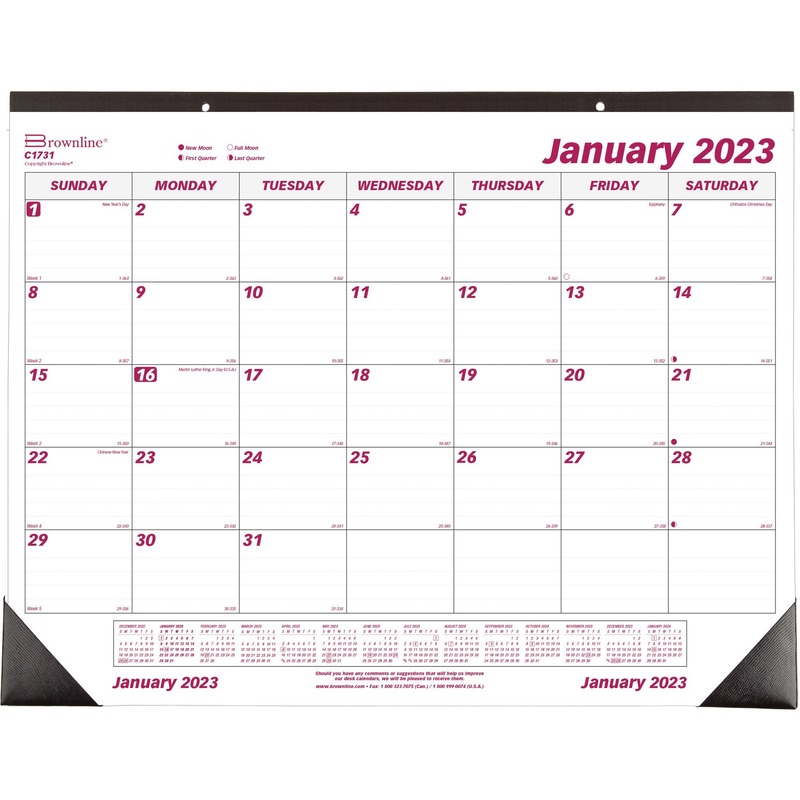 Wall calendar makes it easy to look to the future with three months of reference all on the same page. 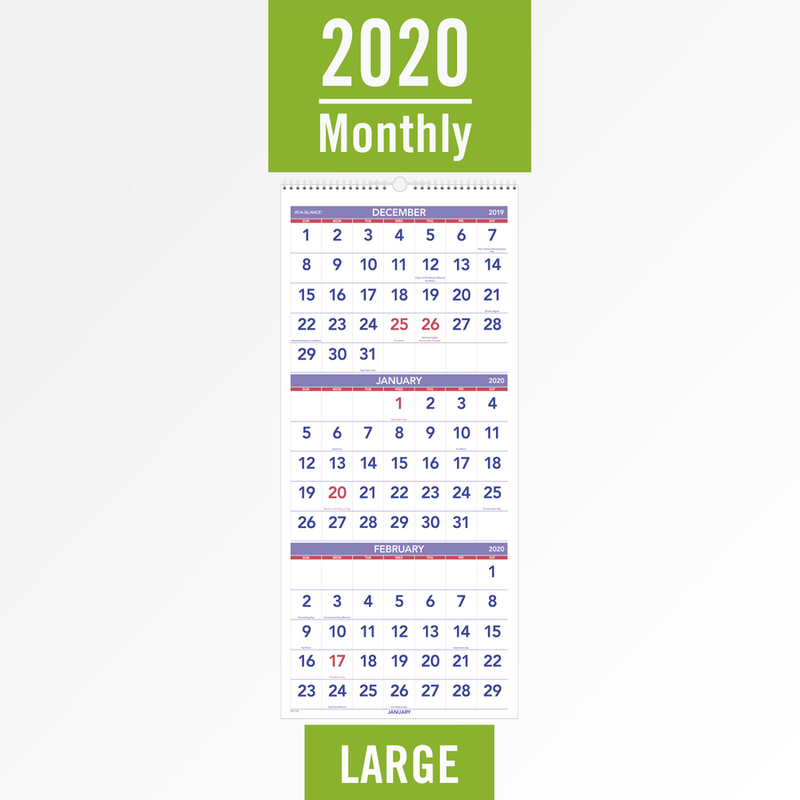 The past, current and future months are printed in equal size in a vertical format. 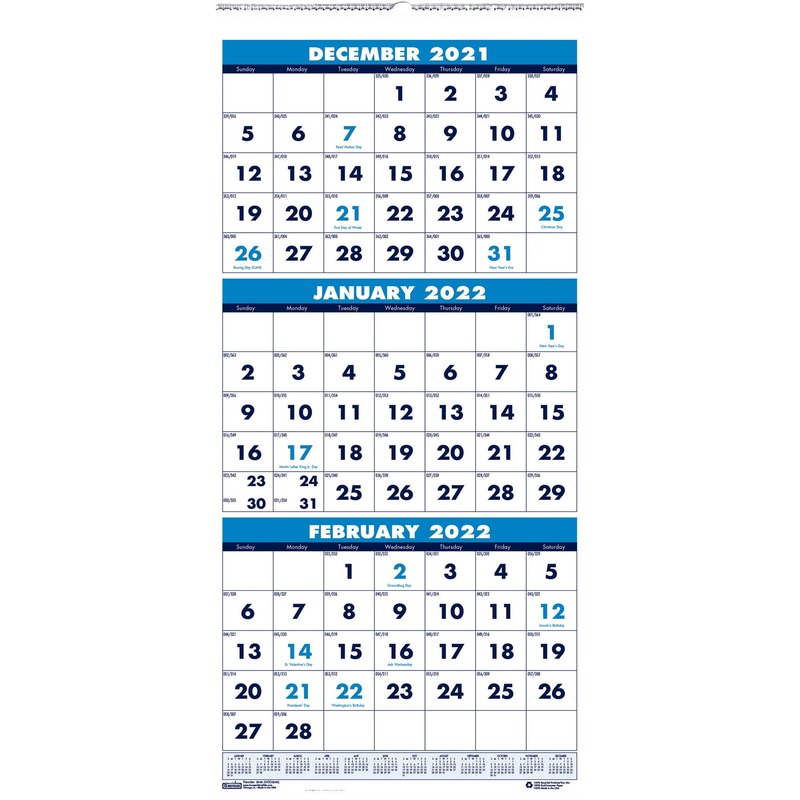 Dated planning pages range 14 months from December to January. Monthly entries have large, easy-to-read numbers in unruled daily blocks; Sunday-through-Saturday scheduling; and federal holidays printed in red. Wire binding at top is equipped with a built-in hanger for easy wall-mounting. Full chipboard backing provides a sturdy backing for writing. 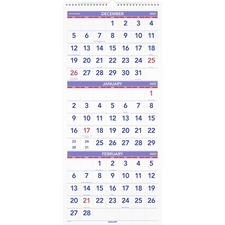 Wall calendar is printed red and blue ink on quality recycled paper.